The genre of stealth is a really rough area for myself. I personally enjoy a bit of stealth now and then, but many titles such as DARK miss the mark by keeping the player in one hallway – or limiting the experience by making it linear and rather stale. 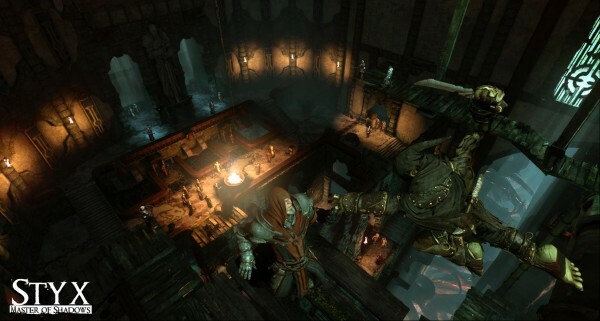 Styx: Master of Shadows is the new kid on the block for the generation, and a prequel to Cyanide’s Of Orcs and Men. With a new direction and a snippy leading character, can Styx’s open world open our eyes to an exciting take on the genre, or is it yet another title that has ambition, but no soul? Let’s find out. 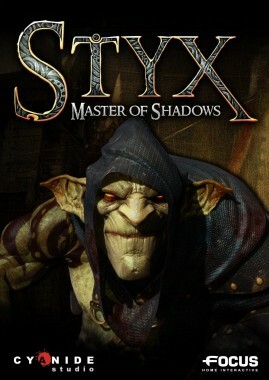 While it isn’t as deep as it could be, Styx: Master of Shadows has a nice little tale within, featuring a thieving goblin by the name of Styx who is out to trek the huge Tower of Akenash and steal the heart of a World-Tree holds amber, the source of magic and power for our goblin friend. To do this our dark hero will have to sneak across hallways to obtain his valued treasure, and perform a good bit of parkour and acrobatics in order to pull off the heist of the century. Yes, its a cohesive and enjoyable little plot hosted by a goblin brimming with personality and charm. I do feel like this character had a lot more untapped potential, as I found him on his own to be quite the character. However, interactions within the game are quick and don’t hold a lot of lasting weight overall. That said, the solo dialogue is sure to crack a smile on even the most dubious of players. Take a bit of Metal Gear, a pinch of Sly Cooper, and sprinkle in some Assassin’s Creed, and you essentially have the recipe for Styx’s gameplay. Styx himself isn’t a fighter at all, and must sneak his way around the Tower of Akenash utilizing his own skillset, which includes jumping, hiding, and a small set of abilities. Bottles of Amber let Styx temporarily get out of harm’s way with magical spells, and thankfully, the controls while performing the stealth mechanics are tight and very responsive. Each section of the tower has a specific objective for the player to complete, which usually requires you to sneak to one set location, pick up a required item or key for the sake of progression, and move on to the next mission. Its a very simple formula for a game that never proves to be to much of a challenge, but still offers enough substance on the journey to keep the player entertained. As an example, there can be a room full of guards (or other creatures), blocking a path to a door that is the only exit. Since Styx will be seen in the light, the player must crouch and creep in the shadows, slowly trekking under tables and behind furniture in order to not get caught. 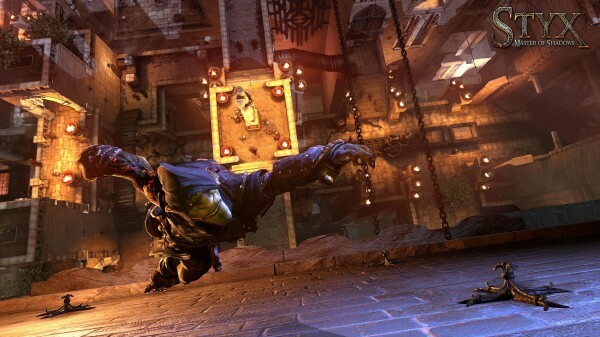 Once a soldier or good sees Styx, the player must think fast and hide, or do battle for a quick kill. Combat however is not Styx’s strong suit whatsoever. While he can scale a wall in seconds, stab an enemy by spinning around their head before impaling, and several other maneuvers, our hero is no fighter. Instead of actual combat, the player has to go head to head by utilizing a “parry” mechanic, where you must hit a set number of buttons in sequence to perform a kill. The problem is that Styx can only take a few hits and if you’re surrounded, you better get ready to restart from the last save point. Since death can happen a lot and checkpoints are not frequent, I highly recommend that players save after ever point of stealth for this reason alone or else you could have some mild frustration. I understand why the developers chose this style of gameplay, as they want you to use your tools and mind rather than your dagger and brawn, but not having the freedom of choice with such a seasoned soul like Styx takes a bit away from the overall package. As mentioned, Styx does have abilities that he can take advantage of with a bit of Amber running through his veins. Ever wanted to puke up a disposable clone to do your dirty work? How about turning invisible for a few seconds? 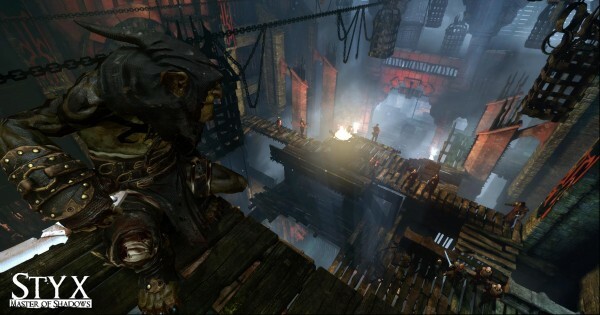 Styx has both and more, and while they don’t add much combat, they do change up the pace and allow the player to be more creative with their sneaking. Players can also extinguish torches with balls of spit-covered sand, and pull off nice assassinations to unsuspecting targets, but again, this must be done with precision or you will quickly blow your cover. The world within the game is also quite spacious, but that in itself is a bit of an illusion. Sure, you can go just about anywhere you want, but success honestly only follows one path within the game. Its a lot of fun exploring, but with enemies that respawn after a short time, you’re not doing yourself any favors by jumping ahead to take out a room of enemies that will just be back later, and the rewards of exploration are usually just found in bottles of health, amber, or other small items. I will say that the AI is quite smart in the game, as while they are blind enough to not see a creature with a glowing arm in the dark, they can hear a small pebble crash to the floor, and the likes of a bucket and broom dropping will cause a large stir that can make your heart drop to your stomach in seconds. Sure, its not survival horror, but it is exciting and even satisfying at times. One of the best features within Styx: Master of Shadows are the visuals. While the color palette is limited, this world is heavily detailed. Styx’s model is one of the most dashing goblins to ever hit consoles, and you can see the heavy amount of work this little team put into the atmosphere to make the world feel authentic. The animations are also on point, but as with any game where you can carry a dead body it seems, there are some clipping issues when it comes to dropping them on a different landscape or up against an item. 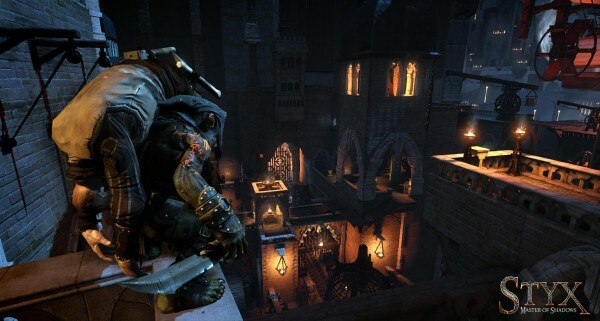 The soundtrack for Styx is decent as well, stirring up excitement when the player is caught, and also setting the mood for the classic setting of the grand tower our goblin friend is exploring at the moment. Styx also has a decent voice actor attached, who brings a great deal of charm to the character in a sinister way. The non-playable characters are also voiced, and hearing them tell stories and give us a bit more insight on the surroundings also adds an extra layer, so its quite refreshing to see that Cyanide seemed to truly care about making progression more rewarding. 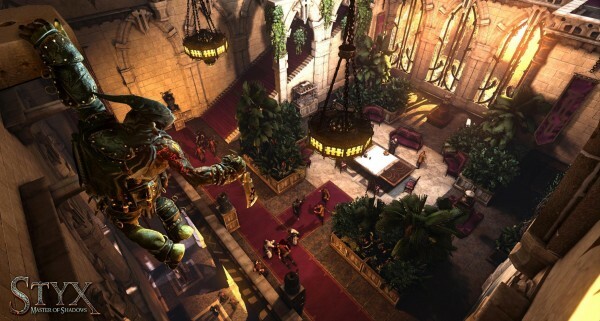 Styx: Master of Shadows is a decent stealth title that has a lot of charm and wonder. Sure, there are a few shortcomings in the areas of combat and freedom, but those who enjoy a good steal will be happy to play predator and prey in what was surprisingly a rewarding experience overall. As I said at the start of this review, stealth is hard to pull off and yes, Styx has a few stale (and even frustrating) moments. However, with a little patience and finesse, one can truly dust off minor flaws to discover a gem of a game here that doesn’t just make an attempt, but nails what it sets out to accomplish by simply being a solid product of the stealthy shadows.